This guide for trapping beavers contains everything you need to know to successfully trap your first beaver, or if you're an experienced trapper, it will give you a few tips or tricks that might just add a few more furs to your shed this year! Beaver trapping has been around for centuries. In fact, it was so popular during the 19th century beavers nearly became extinct. The demand for beaver fur was high during early American history and beavers were targeted for their fur to produce coats, hats and pelts. Their fur was commonly traded for weapons, food, cooking supplies or blankets and it wasn't long before the animal was over harvested. Now, strict laws and specialized management has allowed the beaver populations to thrive once again. Today, beavers are still sought after by trappers for their fur which can be sold to local fur buyers or they're simply thought of as a pest. Chances are if you live in an area that's inhabited by beavers, you know a landowner that wants them removed. Since beavers have teeth that continually grow, a beaver must chew to keep their teeth worn down. This constant chewing along with the notorious "beaver dam" has many farmers and land owners looking for a solution. Unfortunately, many homeowners turn to explosives and firearms in attempts to control their numbers. However, a well placed trap is by far the most effective way to control a nuisance beaver population. Beavers consist of two different species, the North American beaver which is commonly called the Canada beaver, and the European beaver which is also referred to as the Eurasian beaver. The beaver is truly a majestic animal who's work ethic is nearly unimaginable. The popular phrase "busy as a beaver" was created for a reason. 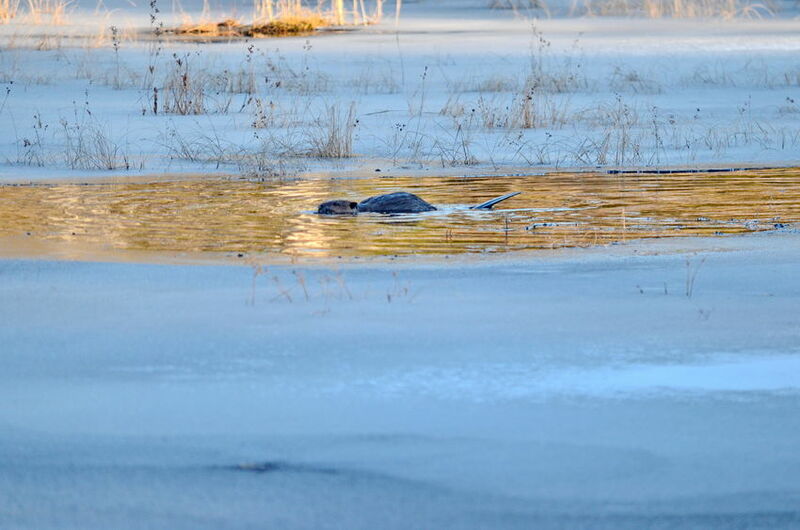 Beavers are often known for building large dams that alter the flow of water creating deep ponds. 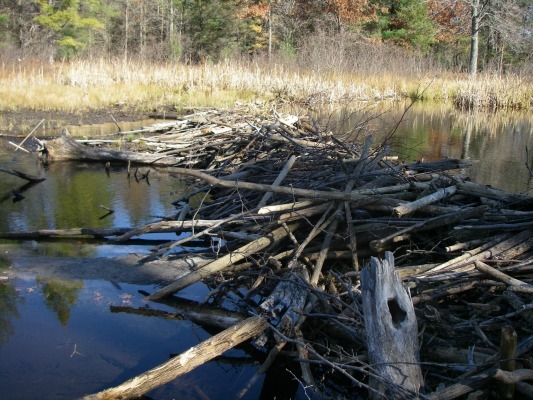 For more information read this article that answers the question why do beavers build dams? Or if you want to learn some interesting details about one of the largest rodents in the world read here to learn some facts about beavers. Since beavers are not usually trap shy, learning how to trap a beaver is really quite easy. However, it doesn't take long for a beaver to become educated about your traps, so setting them right the first time is important. Two of the most popular traps used for beaver are large foothold traps (like the #4 long spring, MB-750 or Bridger #5) and the 330 conibear. Although the 330 conibear is probably the most productive beaver trap on the market today, they are large, powerful traps that can be dangerous or even deadly if you don't handle them properly. A conibear safety gripper is an invaluable tool that locks the jaws of the conibear open, preventing it from closing on your hands or arm. Many trappers also carry a small hacksaw into the field with them just in case they ever need to cut off a trap. 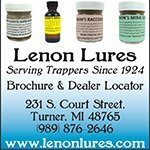 Read this article about beaver traps that explains the traps in more detail along with how to safely use and set them. 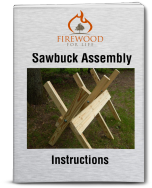 Den sets, scent mount sets and dam run sets are just a few beaver trapping sets that work really well. 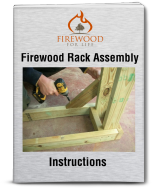 Click on the link to learn more about each set and how to construct them. 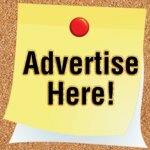 Or, if you need more information read this popular article about beaver trapping techniques. Finally, since beavers are primarily targeted late in the year when their furs are dense and prime, a general knowledge of ice trapping beaver is important. This article will explain what sets to use after the ice forms on the lakes. Trapping beavers can be a fun and rewarding experience. Although the traps are large and it requires some hard work at times, the beaver is still one of today's most popular furbearers.